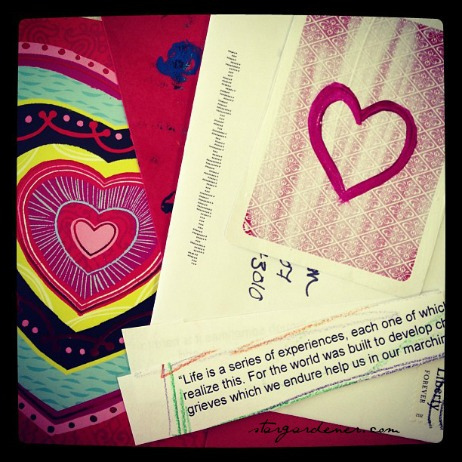 It’s National Card and Letter Writing Month! So what are you waiting for? Grab those coloured pens and stationary paper and get writing! We’re all so used to getting Facebook messages, direct messages on Twitter and emails that we may have forgotten (or never had the joy of knowing!) 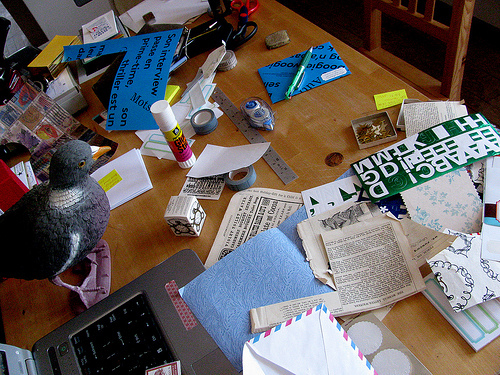 just how fun snail mail can be. Here are some tips for jazzing up your greetings. Why stick with simple pages of text? Online we link to articles, in envelopes we stuff the hard copies right in. Tear out funny ads, your favourite comic, great quotes, interesting photos and whatever else you can find to send with your next letter. This makes the package more interesting for the recipient and tells them a little more about you. Reusing envelopes saves money and paper, but they can start looking pretty tattered. Patch them up with stickers, then use stamps or drawings to make it look a little extra pretty. You could also buy new fancy envelopes and invite the recipients to reuse them. Ever made paper? It’s really simple, lots of fun, and creates a beautiful work of art to carry your words. You can get creative and put in glitter, or seeds (if it isn’t leaving the country) and tell the recipient to plant your letter. Now all you need is someone to send something to. If you’re looking for a pen pal email cockroachzine@gmail.com and we’ll hook you up with someone!